Selection de Cazador (Brown Label), Havana VI, Private Reserve (Black Label), Cabaiguan, Cabaiguan Guapos, La Riqueza, El Triunfador Original, El Triunfador, La Casita Criolla and Fausto. Every single one from brown to red to black is just a spectacular smoke ,I can't express how much I love these cigars.They are so tastey ,I wish they made these in cabinets of 50. I skeptical whether these would be worth it (a hundred bucks, really? ), but I'll be buying again. Super quality and flavor is excellent. I'm genuinely impressed. 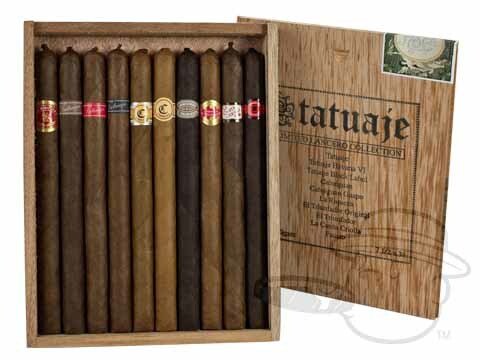 Tatuaje Limited Lancero Collection is rated 4.7 out of 5 based on 4 customer ratings.